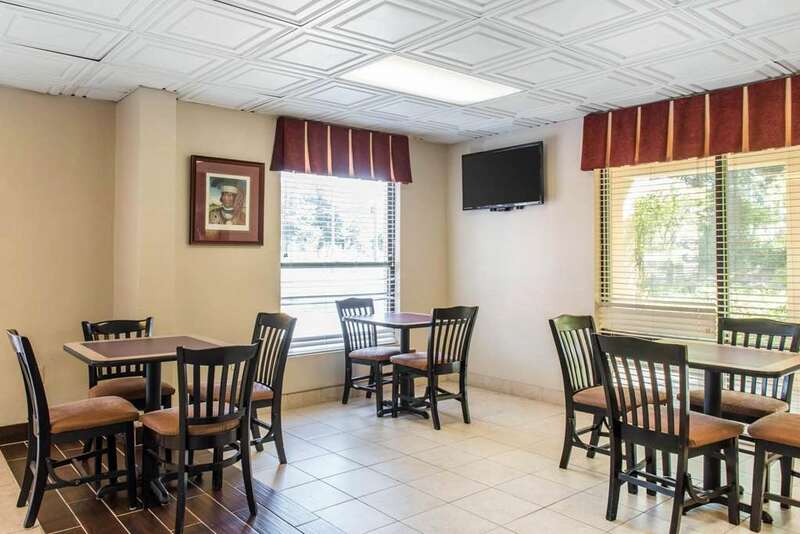 The Quality Inn and Suites hotel in Tallahassee, FL near Cross Creek Golf Course gives you more value for your hard-earned money. Our location off Interstate 10 puts us near Odyssey Science Center, Wakulla Springs, Florida Capital building, Antique Car Museum Florida A&M University and Florida State University. Amenities include free hot breakfast, free WiFi, a seasonal outdoor pool and business center. Invite your friends, family and colleagues to make travel memories that really matter at our Backwood Crossing restaurant. Rooms include coffee makers, refrigerators, microwaves, recharge devices and 40-inch TVs. Earn rewards with every stay with our Choice Privileges Rewards program.